Koh Phangan Thailand is an island long known for its alternative culture, its Yin/Yang atmosphere, and its breathtaking natural beauty. Slower paced and a little more wild than its big sister island Koh Samui, Koh Phangan is also home to the infamous Full Moon Party, a monthly beach affair that has been drawing tourists, backpackers, hippies and ravers since the 1980’s. The island, sometimes written as Ko Pha Ngan, can lend itself to having a bad reputation, being populated by budget backpackers and fueled by a heavy drinking/party scene. Those who visited the island a couple of decades ago talk about the islands halcyon days with a misty-eyed melancholy. 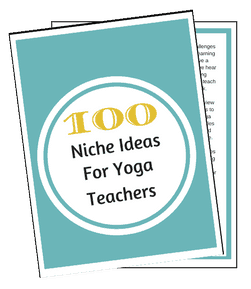 Click here to browse other destination guides for Yoga Nomads. Yet the island still offers abundant pockets of tranquil peace and utter perfection. The Koh Phangan conscious community is strong and they maintain the chilled atmosphere that the island was originally known for. 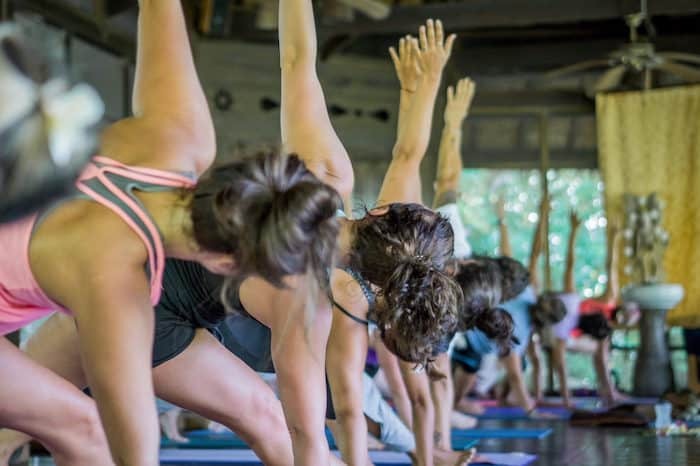 While the popularity and sheer novelty of the full moon parties have given the island quite a reputation, Koh Phangan is in fact a mecca for yoga, spirituality and healthy living. The cacophony of gourmet raw food, massage trainings, yoga retreats, conscious dance and community events is a testament to this natural paradise. There is certainly no shortage of smoothie bowls, sacred geometry and stretchy yoga clothing, and this scene thrives almost completely oblivious to the shenanigans just a few bays away. 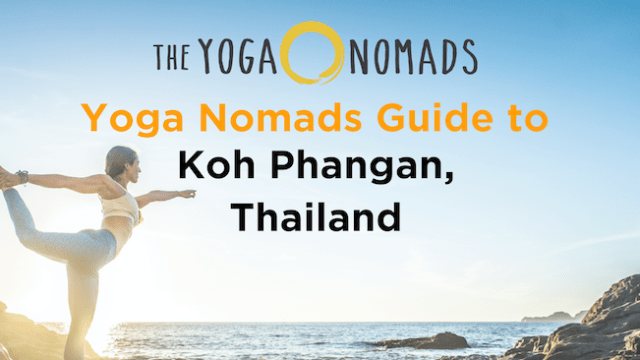 Book your trip and experience yoga Koh Phangan style! 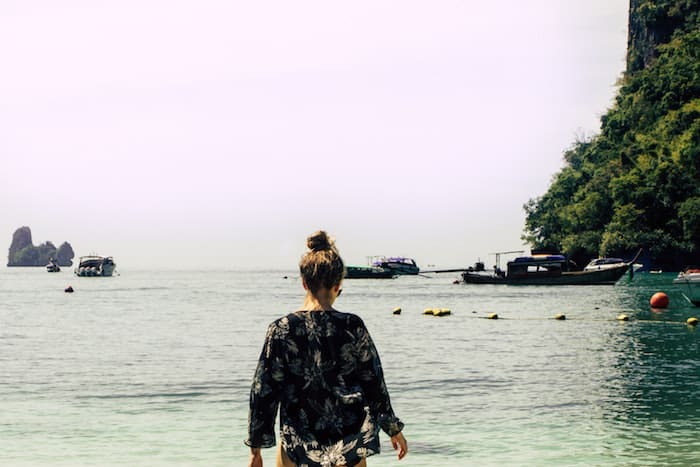 Koh Pha Ngan feels a lot like Ubud, Bali which is another one of our favorite spots in Asia. Legend has it that Koh Phangan is actually perched upon a large deposit of Quartz Crystals, and indeed, the island does seem to inhibit unique healing properties. It only seems logical that an abundance of yoga, detox and healing modalities have proliferated here. 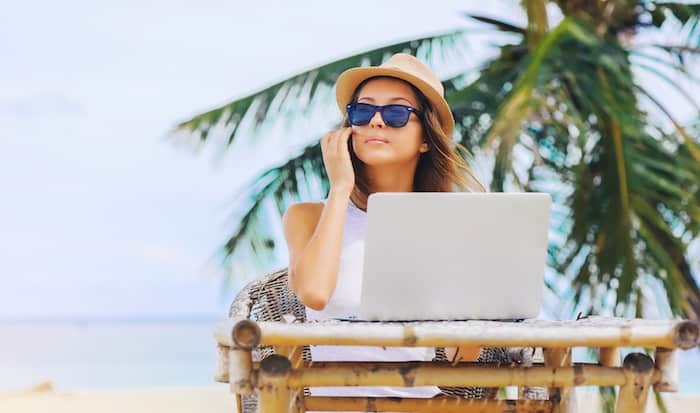 The growing number of vibrant and proactive expats has ushered in a positive community of jovial travelers, curious locals, digital nomads, health enthusiasts and spiritual seekers, with a focus on natural, sustainable and conscious living. 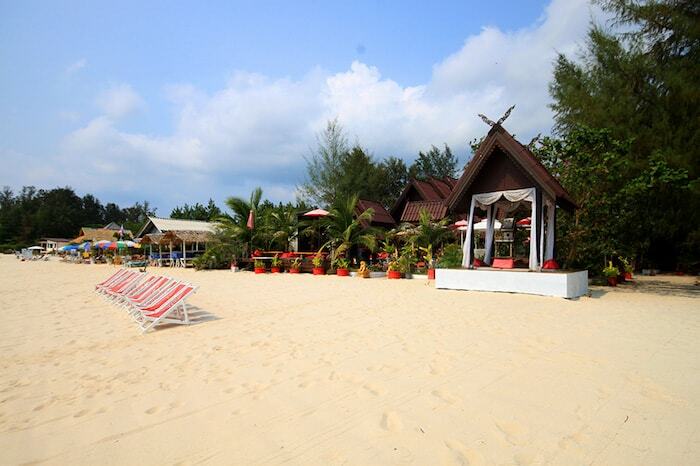 Albeit geographically small, Koh Phangan offers plenty of variance and something for everyone. 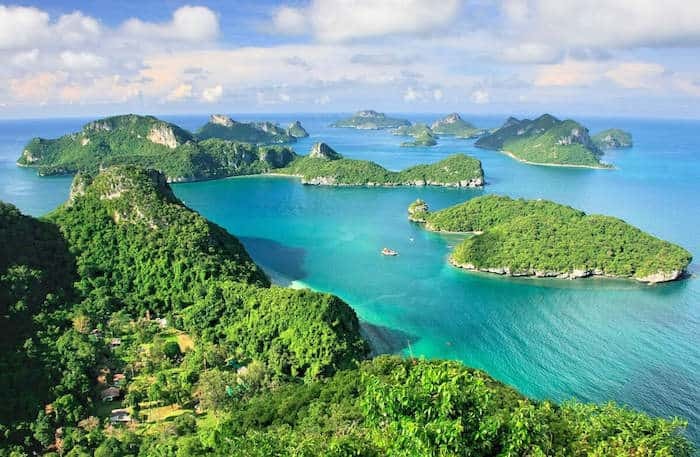 The island is situated in the Gulf of Thailand off the mainland port of Surat Thani. 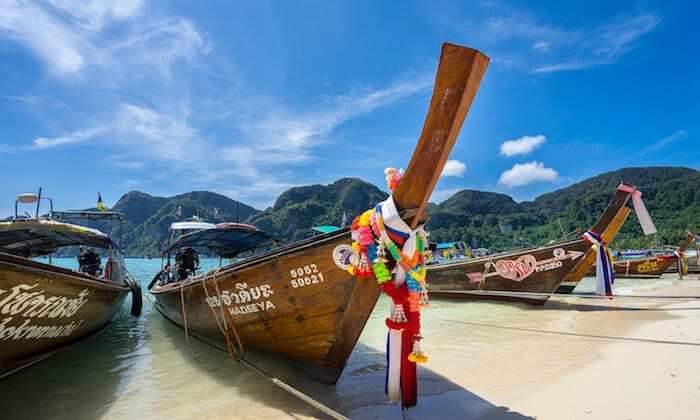 It is sandwiched between the islands of Koh Samui and Koh Tao, both also well known for their long stretches of pristine coastline, swaying palms and excellent snorkeling and diving. Koh Phangan has its own hip vibe and attitude and attracts travelers longing to sidestep onto the not-so-beaten-path. Even arriving on the island itself is somewhat of a mission, or perhaps, the journey is a rite of passage. Planes, buses, minivans, water taxis, ferries, scooter bikes, songthaews, speedboat- the trip is a little like a choose-your-own-adventure book. 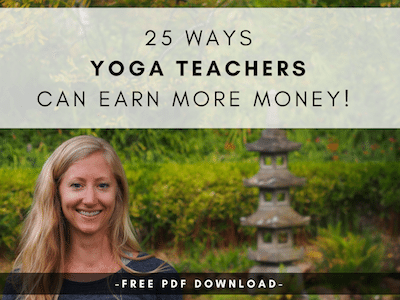 Along the way you will likely see yoga mats tucked under arms, dreadlocks swaying in the ocean breeze, tattooed suntanned limbs, and yoga attire that passes for comfortable travel clothes. 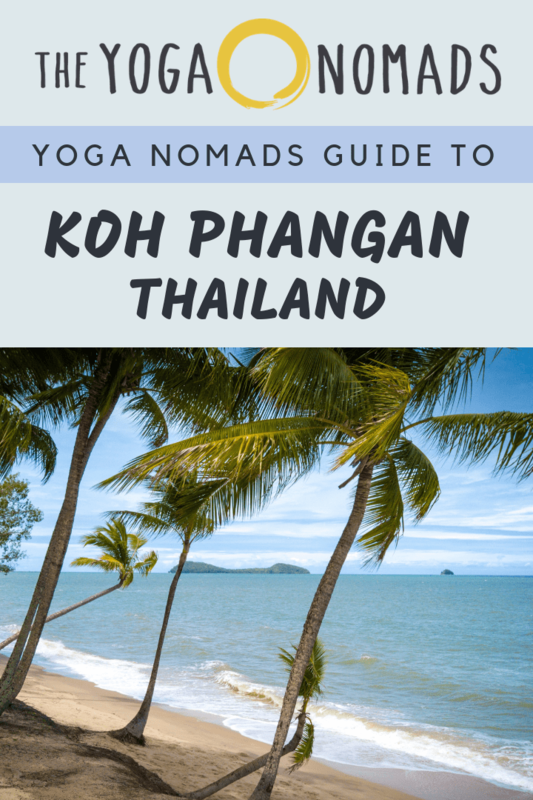 Indeed, Koh Phangan is a yoga enthusiasts dream. Perhaps it is the melting pot culture, the islands alternative roots, maybe it’s the reggae?! Either way, if dawn sun salutations, feasting on epic vegan cuisine, and chanting around an open beach fire is your idea of the perfect holiday, chances are, this little tropical island has your name on it. By now a dreamy image may have appeared in your mind; a remote tropical island, open-air yoga shalas, beachside markets, funky vegetarian cafes, hammocks strewn between lazy palm trees… Well, on top of this rather accurate description of Koh Phangan is the added bonus that the island is remarkably affordable to visit. While high-end resorts do exist, there is a diverse array of mid-range and budget accommodation, allowing you to spend as little as $15 a night. 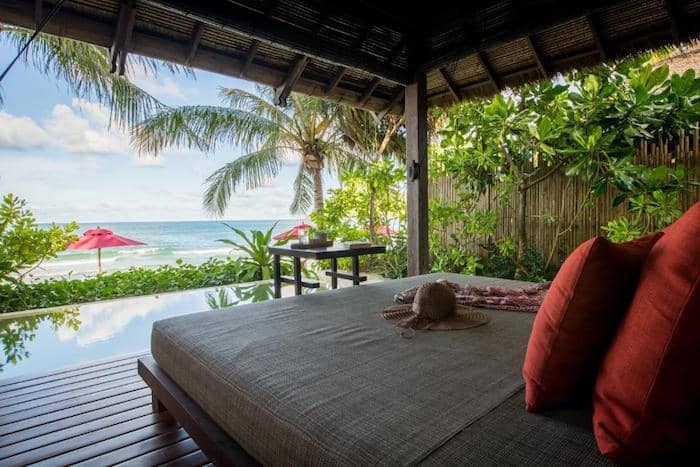 For around double that, you can expect a lovely, comfortable, air-conditioned bungalow where the gentle sound of lapping waves will lull you to sleep. Food is also incredibly inexpensive. If you are happy to eat local Thai cuisine or eat at any of the small, ‘non-fancy’ eateries that are abundant on the island, you can enjoy a delicious and sustaining meal for under $5. Food prices are significantly more than mainland Thailand, however. The more Western-style, organic, vegetarian eateries are more expensive, but still affordable and very good quality. At these places you are more likely to pay between $10 – $15 for a meal. Juices, smoothies and cold coconuts are sold in just about every beach shack and cafe you visit, and are a cheap way to stay cool, hydrated and nourished. Watermelon shakes are something you will continue to dream about long after your island adventure is over, and for some reason, they just don’t taste the same when you try to make them back home?! Being an island that survives on the tourist dollar, there are many attractions and activities on offer if you get a little bored with the beach-hammock-eat-beach-hammock routine! If you are comfortable on a scooter you can rent these very cheaply anywhere around the island which gives you the freedom to take to the open road and explore! Being quite small in size, it is possible to ride the majority of the island in a day, stopping to admire and cool-off at the various beaches on the coast, or beautiful waterfalls if you travel inland. 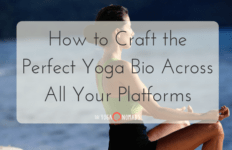 Aside from a plethora of yoga (more on that below!) the island also offers a great array of dance, music, meditation, alternative events, workshops, trainings and retreats. 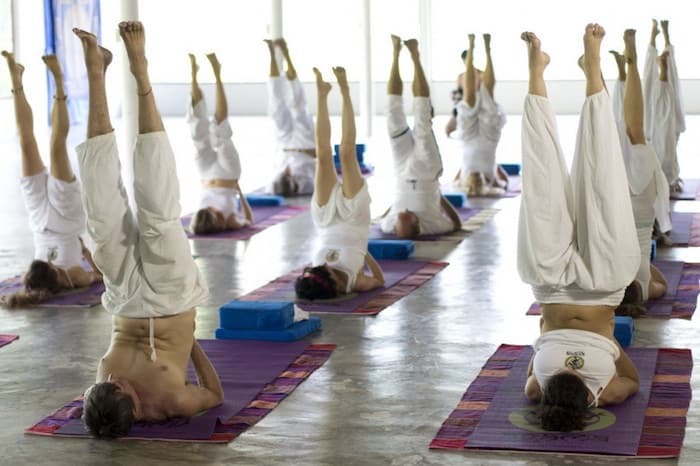 Many of the yoga centers will have timetables with weekly offerings open to the public. Trainings in all styles of massage, reiki, healing arts, Muay Thai boxing, and other movement modalities are also commonly held here. There are several good Thai cooking schools if you are looking to expand your kitchen repertoire and take the flavours of the island back home again with you. Of course, being the home of Thai massage, it would be a shame not to indulge (daily?!) in a therapeutic body treatment that will set you back around $10 for a one hour session. Check out Siam Healing Center for great massage options and training courses in Thai massage. If you prefer sea to land, swap your flip flops for a pair of fins and explore the underwater world. Snorkeling and diving trips are offered at many tourist shops and they will usually arrange to pick you up from your accommodation and drop you back again after the full day at sea. 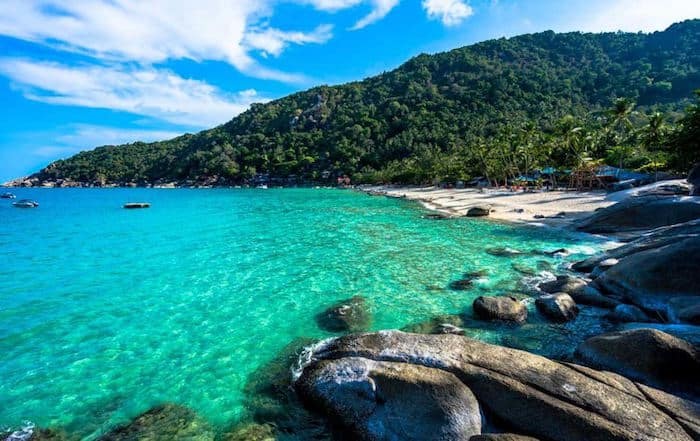 Trips vary but will often visit Koh Tao which is known to be the best location for diving, and also the nearby Ang Thong National Park which is a colourful underwater feast for the eyes. Haad Yao Diving and Phangan Boat Trips are a great place to start. For the adrenaline junkie, jet skis are also available to hire on several of the beaches. Ok ok, let’s dive into the good part now shall we?! 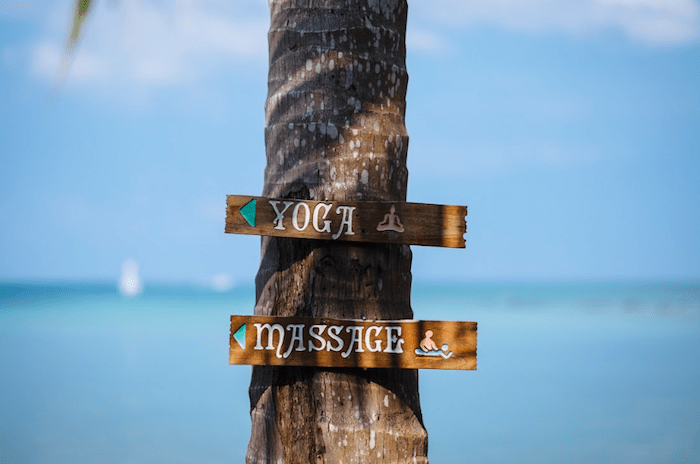 Hands up who read this far just to find out about the vast array of Koh Phangan yoga options on the island? Well, you will not be disappointed. 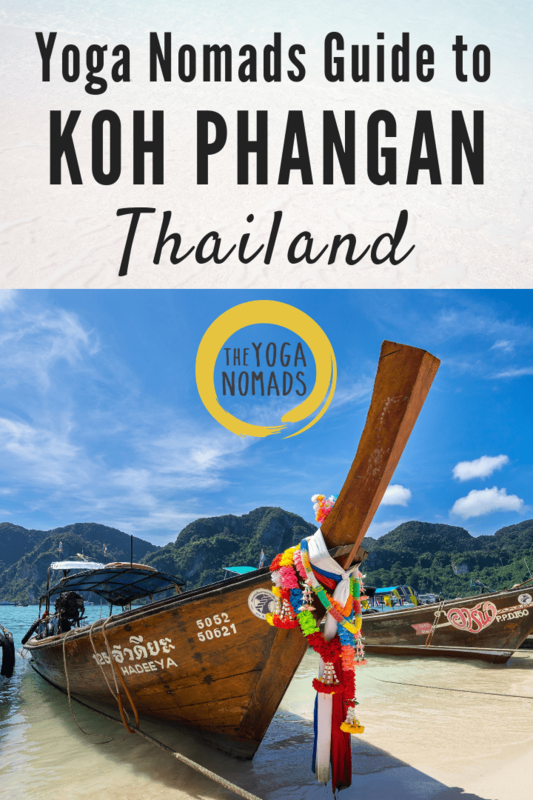 Koh Phangan is an ideal place to embark on a holiday.Whether you want to dabble in yoga in Koh Phangan with simple drop-in classes, or immerse yourself fully in a retreat, workshop program or training course, this small island caters to all. Don’t forget your yoga travel mat! The Sanctuary is an institution on the island. Since its inception in 1991, The Sanctuary has grown and evolved over the years and despite its transformations, it is still very much attached to its roots as an alternative yoga and wellness resort. The resort attracts a diverse range of guests- from stressed business executives seeking a week of solace, to bendy stretchy yogis keen to make the most of the three classes per day and smorgasbord of daily changing activities ranging from Dynamic Meditations, to Tea Ceremonies, to Cacao Dance Parties. The yoga halls are nestled deep in the jungle that the resort sprawls across. One class per day is tailored to beginners while the other two classes are usually a Hatha Vinyasa style and suitable for all levels. Guests can select from yoga holiday programs while additional retreats and trainings are held throughout the year by guest facilitators. Classes are open to the public with a single class costing around $10 or a week pass of 7 classes for $60. Orion Healing Center sits on a tranquil bay in the yogi hub of Srithanu. Also a center for fasting and detoxing, yoga classes are held daily, as well as immersive yoga workshops and yoga retreat programs. The studio faces the calm ocean and guest teachers from around the world join a dedicated faculty of staff, offering classes that range from highly intensive to more restorative. Another Ko Phangan yoga pillar, Orion’s mission is to be a place of transformation, and the center draws people seeking to reconnect to themselves, or their life purpose. It is a non-intimidating space with a welcoming and ambient atmosphere. Like The Sanctuary, accommodation is available on-site or in the countless guesthouses and bungalows operations in the area. The cafe is a must-visit (more on that below!) Single classes start from around $12. 2018 Update: Agama appears to be shut down due to sexual assault allegations from the staff. Please do your own research when considering Agama or the employees involved. Sad to see this, stay save everyone! Agama Yoga is another Koh Phangan institution, founded in 2003 by Swami Vivekananda Saraswati, a yogi who has dedicated his life to teaching an authentic form of Hatha Yoga. 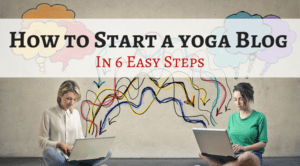 With its roots in Tantra Yoga, this popular yoga hub has an extensive daily program of classes as well as yoga lectures. 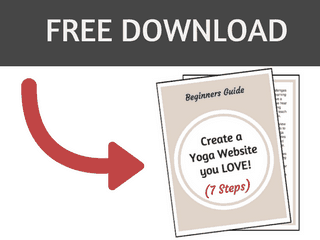 You can sign up for a day, a week, a month- yogi’s choice! 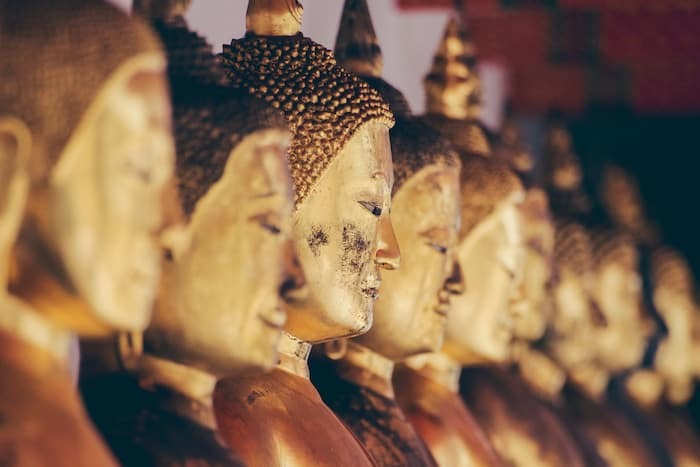 Agama is a wonderful place to dabble in all kinds of yoga lineages with Hatha, Kundalini, Tantra, various meditation practices and more all on offer throughout the year. Rather than paying per class, you pay per day, and for $18 you will gain access to 2 classes and an evening lecture. 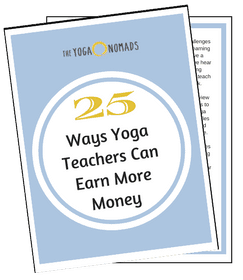 Agama is a real yoga community and is suited to an immersive learning experience. 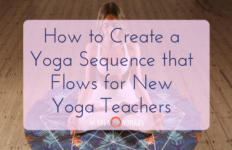 Esoteric yogic topics, weekly satsangs, philosophy lectures, healing workshops, astrology, Goddess Yoga, Sanskrit, Temple Dance, Sacred Geometry, Yoga Nidra, and more make up a day in the life at Agama. The Pyramid Yoga Shala is located at the north of the island and offers Chakra Yoga, a system of yoga that originated in the 70’s. The center was established in 2002 by David Goulet; an inspired yogi that spent 5 decades studying, researching and practicing the science of Chakra Yoga and ancient Indian techniques. Ananda Yoga & Detox Center: Located just outside of Thong Sala on the way to Srithanu, Ananda offer both detox and yoga retreats with great facilities and experienced staff. The yoga retreats are all-inclusive, yet drop in classes are also on offer for $10. There is a free meditation class every morning that is open to all. Wonderland: Also located just outside of Thongsala in a lush natural setting, Wonderland offer wellness vacations, yoga and meditation classes, holistic healing treatments, raw food classes, and a plant-based restaurant. Try their ‘Healthy Day Pass’ which entitles you to their full daily schedule, onsite facilities, delicious food and a traditional Thai massage. The day pass is $60. Samma Karuna: With a mindful community vibe, the various offerings at Samma Karuna aim to inspire people to live happier, more peaceful, and more fulfilled lives. Holiday packages, teacher trainings and their signature one month ‘Awakening and Healing’ retreat are several of the programs on offer. Onsite accommodation and restaurant allow for a real immersive experience. Sometimes being on the road or on holiday means that it can be challenging trying to find healthy options, vegan options, or meals that fit dietary requirements. Koh Phangan is a foodies dream, and a healthy foodies heaven! 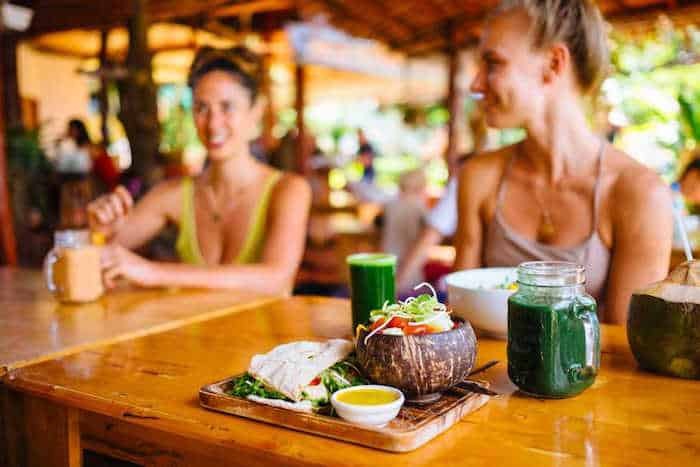 Superfood smoothies, gourmet raw food, vegan ice-cream and vegetarian options that take up a dozen menu pages (seriously), are all commonly found around the island. For those seeking authentic Thai cuisine, you are also in luck! Delicious Thai food is fresh, flavor some and inexpensive. For those who love the creature comforts of home, Italian, Israeli, Mexican and other Western favorites are also easy to come by. Most menus cover a plethora of global options which can be a little daunting at first when you are presented with a menu the size of your holiday novel! Many of the veggie-friendly and healthy cafes are located in the yoga center of Srithanu. There are also others dotted around the island that are worth venturing out to! 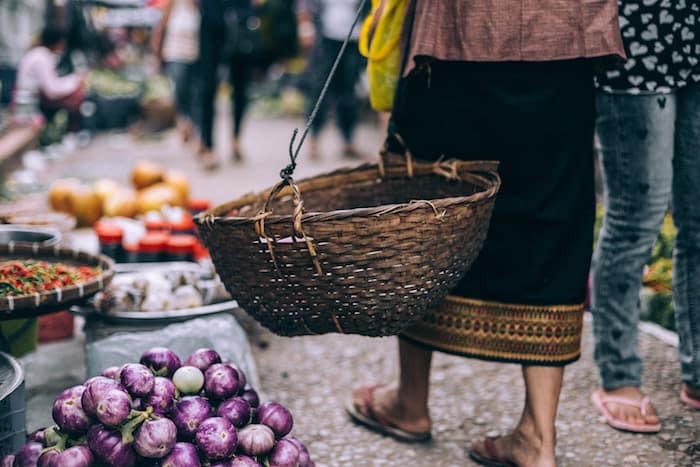 Do keep in mind, Thailand is a fairly vegetarian-friendly place and even local cafes will have simple options such as Fried Rice, Pad Thai and Vegetable and Tofu Curries. Be prepared to pay a little more at the Western-style organic healthy restaurants. The smaller, more authentic eateries will be half the price and full of flavour, just without the Amazonian superfoods! 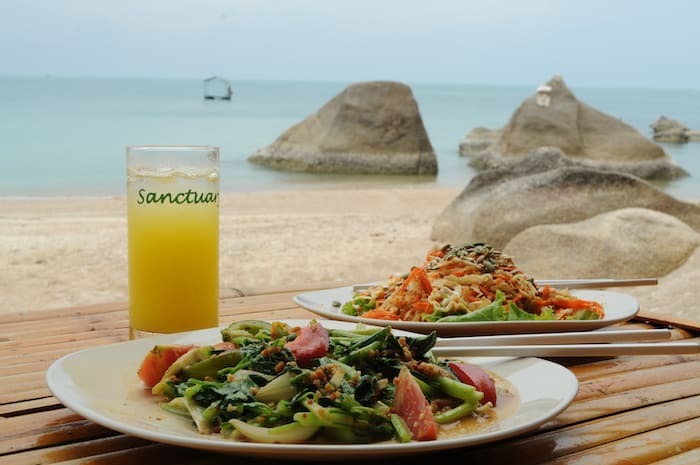 While we have already explored the yoga scene at The Sanctuary, it is impossible to do a Koh Phangan round up without mentioning their restaurant. One of the first vegetarian restaurants on the island, the immense menu covers everything from raw vegan pizza to memorable veggie burgers, and covers global flavours including Indian, Italian, Mexican and Thai (of course!) to name a few. Fresh juices, smoothies, wheatgrass shots and health tonics sit alongside Italian coffee and cocktails on the equally as large drink menu. The Sanctuary caters to all tastes and the food is by far one of the highlights of any visit here. Fresh seafood is also on the menu and for those who like meals heartier than the smorgasbord of salads, huge burritos, real pizzas, big veggie breakfasts and even a vegetarian shepherd’s pie grace the menu. I can’t go past their Vietnamese rice paper rolls, and their Raw Mexican Tacos are also a favorite. This all vegan cafe in Srithanu prides itself on its fresh, homemade, organic, gluten free and sugar free creations. Its small yet mouthwatering menu includes their famous veggie sushi, incredible rainbow-inspired salads and their signature burrito made on a spirulina tortilla and loaded with black beans, sweet potato, zesty salsa and creamy cashew cheese! One tip for Karma Cafe: do not leave without dessert! Their raw chocolates, homemade ice-cream and guilt-free cakes are some of the best on the island, especially the almond butter cups! Big green smoothies in glass jars, ice cold young coconuts and vibrant chia seed puddings are also up for grabs. Like The Sanctuary, Orion’s cafe must also be mentioned as their innovative menu is the perfect post-yoga fuel! Whether you are pre/post cleansing, new to a vegetarian diet, or simply looking for a delicious nourishing meal, Orion have you covered. Old favourites are revamped with love such as burgers, pasta, burritos and epic sandwiches which feature housemade wholewheat bread, homemade ketchup and mayonnaise, and local organic salad. Famous Thai dishes are given a twist with dishes like Pad Thai using raw zucchini noodles instead of rice noodles. Smoothies and elixirs are packed with superfoods like Chaga mushroom, ashwaganda and spirulina, and raw cheesecake and nutrient-dense energy balls are available for snacks and dessert. Every meal I have sampled here is always impressive, although unfortunately they were out of hummus on every single occasion I visited- talk about unlucky?! Natural salt, cold pressed oils, raw honey and local soybeans are just a few of the high quality ingredients utilized by the creative cooks. The Green Gallery is an Israeli-run cafe that offers a full vegan menu and the passion of the small team is felt and tasted in every single dish. Popular and familiar Israeli home dishes are made to perfection and it is safe to say the hummus is the best on the island – you may now be aware of my hummus addiction! This is the kind of food that just feels good when you eat it. Wraps, curries, rice dishes and soups include unique ingredients such as pickles, eggplant, fresh herbs and tasty spices. Of course, it’s hard to go past the falafels here that come in soft pita bread with all the trimmings! Every Friday they have a gathering around a big fire with live music which always brings together a beautiful group of people. The Art Cafe is a rustic, colourful, feel-right-at-home cafe in Haad Chao Phao that is well known and loved for its excellent coffee, gorgeous corner of used books, and its unique and diverse tea menu. You also get a free coffee is you donate a book! This is the kind of cafe where you can easily spend an entire afternoon lounging at the low tables and losing yourself in the floor cushions. If you come solo, chances are by the end of your meal you’ll have found some new friends for life. The cafe is abuzz in the mornings as people marvel over a real coffee (a rarity in Thailand!) and dig into creamy green smoothie bowls or flakey croissants. Salads, wraps and soups make up the majority of the lunch menu- simple hearty meals that use quality ingredients that leave you feeling cozy and nourished. With a tea menu that tempts you with Kashmiri Chai, Madagascar Vanilla, Honey Pear, Coconut Pouchong, and Egyptian Chamomile, the humid outside temperature suddenly no longer matters and tea sounds like a perfectly marvelous idea. One hidden gem that is not vegetarian but is indeed vegetarian-friendly is Bamboo Hut. This little gem is tucked away on Haad Juan just underneath the Pure Flow Yoga shala, and is accessible by longtail boat or a rather gnarly four-wheel drive journey. The food, albeit marvelous, is actually second to the views here. 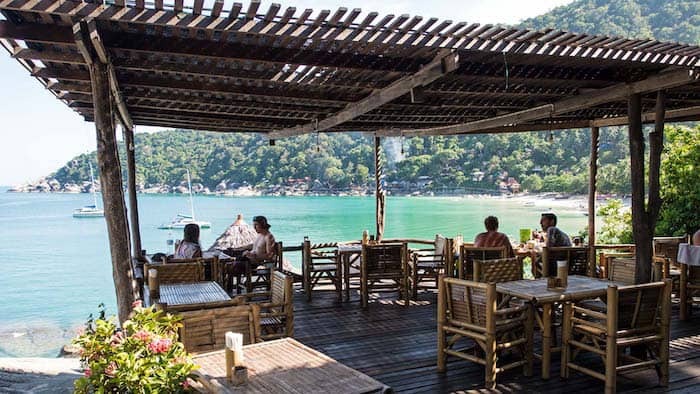 This is the place where you sit back with your Massaman Curry and local Thai beer and watch the ocean stretch out before you and the world pass you by. It’s one of those places that stays with you long after you return home, and gets added to the ‘must return one day’ list. The Thai food here is exceptional and the conscientious staff are generally happy to make variations to menu items if need be. The Pumpkin Tofu salad is a winner and probably the dish I have eaten the most in Thailand! The Lemon Mint Shakes are pretty much the most refreshing beverage in the world. They open early and close late and generally always have a steady stream of people eating, drinking, reading, chatting and playing backgammon. It’s a winner. There is a dizzying array of accommodation options on the island. As always we recommend using Booking.com when you want to book accommodation before arrival which we recommend as the options are limited and get full fast around the full and half moon parties. What you choose will depend on which area you wish to stay in, your budget and the facilities you need. For the super budget-friendly, hostels are now more common, especially in Haad Rin and Baan Tai as they cater more to the full moon goers. In hostels and dorms, prepare to live closely with other travelers and possibly survive on limited shut-eye! Bungalows are perhaps the most common and popular style of accommodation and bungalow operations proliferate the entire island. 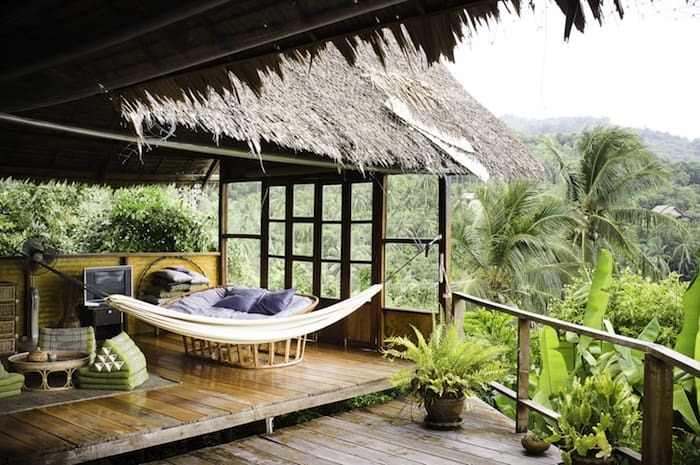 Simple, cozy, often rustic, these wooden or bamboo bungalows generally consist of one double bed, an attached bathroom and a balcony. Concrete bungalows are now also quite common and tend to be a little more spacious and air-conditioned for a higher price. Hotels and resorts are obviously very common also, and while they are more expensive, they often include additional facilities such as a pool or private beachfront, onsite restaurant, beachfront bar, gym etc. If you plan to stay longer, you can also look into renting homes directly from local Thai families at a heavily reduced monthly price. These small houses will often have basic kitchen facilities and simple furnishings but are very livable as cost around $300 a month. The difficult part- choosing where to stay?! While the island is quite small, each distinct area has its own vibe and atmosphere, so where you stay will depend on what kind of experience you are seeking. If the lure of Koh Phangan for you is the constant party scene, the full moon shenanigans, and sunset beach volleyball in fluorescent clothing with cocktail in hand, jump off the ferry in Haad Rin and stay put! This town is most commonly populated with a younger crowd, lots of backpackers, and those seeking 24/7 fun. Baan Tai, just north of Haad Rin, is also known for its nightlife and eclectic music/party scene, yet its vibe is a little more chilled. It’s a handy spot located between Haad Rin and Thong Sala and there are plenty of reasonably priced bungalows scattered along the quiet beachfront. Baan Tai is also starting to attract an older, more affluent crowd of tourists, hence the larger boutique hotels starting to appear here. Thong Sala is the main town of the island and where many tourists will find themselves when they first arrive. There are plenty of markets, shops, tour shops, cafes and all the essentials including banks, grocery stores, a post office etc. There are some nice places to stay just outside the main hub. The only real reason to stay in central Thong Sala would be if you get in late or take off early from the port. Other than that, it’s more of a place to come and stock up on your necessities. Srithanu is the centre for the yoga, healing and conscious community that are drawn to the island. Small in size, it is easy to get around Srithanu on foot or on a bicycle. The town offers many wonderful vegetarian, vegan and raw eateries as well as other small cafes and coffee shops. You will find some of the larger yoga and wellness retreat centers here which have their own range of accommodation options. The tranquil beachfront is lined with bungalows and mid-range hotels. Housing can also be rented around the outskirts of town and is a popular choice for those seeking to stay for a longer duration. If you’re coming for yoga Phangan will not disappoint you (as long as you stay near Srithanu). Chaloklum is towards the north of the island and is a gorgeous sleepy little fishing village with a lovely beach and some great little cafes, second hand bookstores and a few other general stores. It has a more local atmosphere and plenty of smiles. A great place to go to escape the hustle and bustle of life and unwind in a hammock with a good book. Thong Nai Pan is made up of two stunning stretches of beach and is a popular choice for families and those seeking a more ‘vacation’ vibe. There are lots of fancy hotels and lovely beach front restaurants. It’s a great place for honeymooners or if you’re looking to splash out on a beautiful room for a couple of nights in tranquil paradise. Low season the prices drop significantly so it can be a good time to score a great place for half the price! The views here over the bay are stunning. It’s also a great drive if you just want to venture here for a day trip. South of Thong Nai Pan and north of Haad Rin you will find the tri bay area of Haad Juan, Haad Tien and Why Nam. These three bays are also known for their conscious community and focus on yoga, wellness and healthy living. Accessible by boat or more recently, an unpaved jungle road, these bays are more secluded than other areas o the island which contributes to their charm. They attract people from all walks of life, from backpackers to the rich and famous. The beaches are stunning, food is terrific and the accomodation is primarily affordable beach bungalows. My personal recommendation wouldn’t be to stay in Haad Rin itself. A little faded and jaded from its glory days, Haad Rin only really livens up around full moon, returning to a run-down ghost town throughout the rest of the month. If you are looking to stay in Haad Rin though, whether you’re wanting to check out the full moon or need to be within close proximity to the ferry, the Jungle Gym Eco Lodge is a safe, friendly hostel with clean accommodations at very good prices. The owner is a long term expat who really cares about the town, the island, the local community and the environment. The Jungle Lodge offers private rooms and dorm beds and also offers packages if you are keen to try a fitness or Muay Thai retreat while in the area! The Jungle Lodge is surrounded by verdant tropical greenery and there is an oceanfront pool, bar and restaurant. A little oasis in the centre of Haad Rin! Prices: $22 per night for a private room, or $11 per night for a 4 bed dorm. Phangan Cove is one of those places that seems too good to be true. Simple, clean, comfortable bungalows, beachfront access, a chill atmosphere, and incredibly reasonably priced. The resort rests in front of a tranquil stretch of coastline and the simple bungalows are set back from the shore in a maze of palm trees. The caring staff and friendly hospitality add to the charm of this place, plus, it’s only a hop skip and jump to both Orion, Agama and everywhere else in Srithanu. Perfect for the budget conscious traveler that is a step (or leap!) up from dorms or dives! $36 per night for a standard room. Loyfa Natural Resort is located on the Srithanu peninsula and is a beautiful tranquil home away from home. With traditional Thai touches, two beautiful outside pools, good wifi, and lovely natural surroundings, Lofaya is a great mid-range choice and is just around the corner from Orion Healing. The cottages and suites are scattered around a lush coconut grove and offer direct beach access. Choose from basic superior rooms or splash out on a sea view suite! 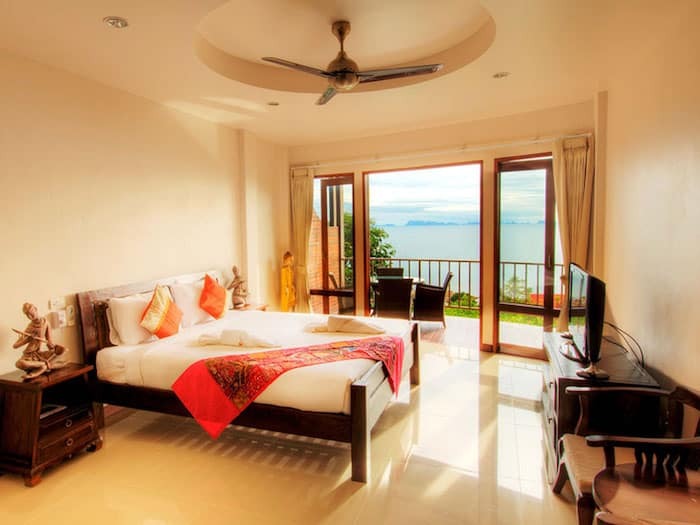 Sunset Hill Resort is a comfortable mid range hotel that boasts a unique hillside location above the unspoiled beaches of Haad Yao and Haad Chao Phao. From the infinity pool and lush tropical gardens you can enjoy panoramic views of the glorious golden sunset over the ocean. The resort offers a range of apartment style accommodations, ranging from simple clean rooms to larger, more luxurious suites with sea views. Tucked away from any roads, this tranquil resort is still only a short ride to the beach and to the town of Srithanu, making it a perfect base for exploring Koh Phangan. This stunning Thai-style luxury beach resort stretches over 18 acres of pristine tropical landscape in Baan Tai, a popular town situated between Haad Rin and Thongsala. With a barefoot luxury vibe, this eco-chic natural hideaway has its own private beach, cascading poolside waterfalls, gourmet restaurant and onsite luxurious spa. The elegant resort is also eco-friendly so you can enjoy a luxurious holiday with a good conscience! If you are looking for utter extravagance and pure luxury, head to Anantara Rasananda Koh Phangan Villas. Hidden away amongst coconut palms and stretched before a glittering ocean, the 64 pool suites and villas are designed with the utmost privacy in mind. Each suite or villa has its own pool, private sundeck and ocean breeze. Thong Nai Pan Noi is a quiet bay in the north east of the island and is known for its high end resorts and laid back charm. Anantara offers a variety of yoga, spa and wellness packages if you’re craving a boutique yoga holiday that you won’t soon forget. Pariya is the only boutique style accommodation on Haad Yuan beach. The rooms are large, concrete style domes that have plenty of space, big lush bathrooms complete with bathtubs, huge beds and great A/C. Priyaya is just a 5 minute walk along the beach to Pure Flow Yoga and Bamboo Hut, and ten-minute walk from The Sanctuary. Haad Salad is a beautiful tranquil beach to visit (especially in low season!) There isn’t any yoga in the immediate area, but if you do venture up this way, Salad Buri is a beautiful resort that offers luxurious, yet affordable, rooms dotted on the hillside overlooking the bay. Great hospitality, good breakfasts included, and gorgeous cats that love morning cuddles! Another little gem to keep in mind if you end up in Haad Rin, Neptunes offers a range of simple bungalows on the beach, or newer, air conditioned, concrete style rooms across the road with a lovely pool. The manager is the friendliest person on the island and the relaxed atmosphere is a breath of fresh air after navigating your way through the town or arriving off the ferry! Koh Phangan has several supermarkets and there are good old 7/11’s on just about every corner that can fulfill your basic day to day needs from water to travel snacks to ponchos for wet weather! There are plenty of fresh fruit and vegetable markets in Thong Sala and also Srithanu. Small roadside markets also sell an abundance of fresh tropical fruits (think mangos, pineapples, mangosteens, and papaya) for half the price of the supermarkets (and without the packaging). For grocery shopping there is a Tesco Lotus and Big C in Thong Sala, there is also a Macro in Baan Tai. There are a handful of small organic shops scattered around the island and some of the cafes sell superfoods and healthy staples also. Check out Soul Organic in Thong Sala and Srithanu also has a small organic shop selling things like homemade coconut yogurt, granola, kombucha and vegan treats. Try and remember to take your own shopping bags when you can and you can also refill water bottles as various places around the island. Check out Trash Hero for details. There are 48 nationalities that are allowed a 30 day visa exemption, meaning you can enter the country and be granted a 30-day stay upon arrival. Find the list of countries here on the Thai Embassy website. If you wish to stay in Thailand longer than 30 days you can also apply for a 60 day tourist visa from any Thai embassy, this is often easiest to do from your own Thai Embassy before you leave. You will need to complete the application and have your flight and accommodation details, one passport photo and your passport readily available for this visa. Information for the Tourist Visa can be found here. For those who enter on a 30 day visa exemption or with a 60 day tourist visa, you can also apply to extend your stay in Thailand for another 30 days at an immigration office. The closest office on Koh Phangan is in Koh Samui. This costs around $60 and you will need the same paperwork as when applying for the tourist visa. While extensions and visas are relatively straightforward when you tick all the boxes, do bare in mind that Consular officers reserve the right to request additional documents as deemed necessary and also reserve the right to reject any application without having to provide reason. Pharmacies and chemists will usually have a pharmacist on hand who can assist with general medical issues like bites, cuts, digestive issues or ailments of a similar nature. Thong Sala has a very god hospital – First Western Hospital. Baan Tai also has Bandon International Hospital. Haad Rin has several small clinics although they will likely transport you to a hospital if further tests or treatment is needed. There are a number of excellent hospitals on Koh Samui if you require more serious medical help during your stay. Let’s face it, things happen when you travel. Unfortunately, I spent a long days bedside at the First Western Hospital when my partner was bitten by a spider and had an allergic reaction. The hospital bills came to several thousands of dollars for a short stay and minimal treatment, luckily, we had insurance. World Nomads travel insurance is who we always recommend to people when traveling. They cover your typical travel accidents, compensation for lost luggage, and the peace of mind is definitely worth it! Of you’re seeking more information, on this topic, click here for our travel insurance guide. 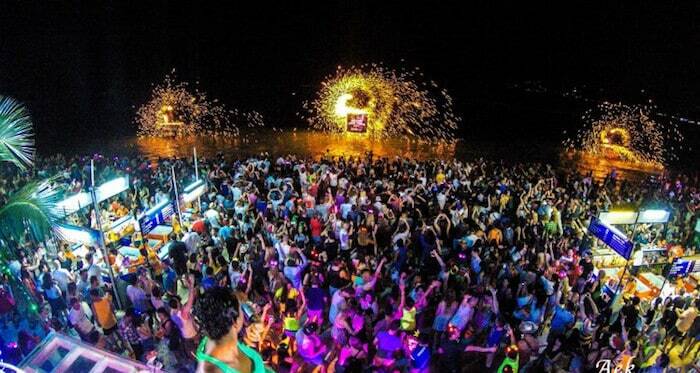 I suppose we should include a little information about the full moon parties! The first Full Moon was held at Paradise Bungalows on the beach in 1988 with a total number of around 20–30 travelers. The parties gained fame over the years through word of mouth, and today the monthly event can draw a crowd of up to 30,000 party goers in high season. The fun begins at dusk and carries on until dawn with the beach bars playing a dizzying array of music that morphs into the next, from psychedelic trance, to R&B, drum and bass, house, dance and reggae. The popularity of the Full Moon Parties also prompted the creation of a host of other moon-related festivals. Half Moon, Full Moon, Black Moon, Pink Fluffy Unicorn Moon- if there is any remote reason to crank up the music and dance wildly in nature, Koh Phangan will find it. On a more yogic level, one place worth renting a scooter and driving off into the wilderness at night for is The Dome. The Dome is a Herbal Steam Sauna open every night from 6pm-11.30pm. They offer tea, kombucha, coconuts, and homemade vegan food and sweets. They often have open fires and chanting, or even chanting in the acoustic sauna domes! If lounging about with good people in an uplifting environment with ambient tunes is more your pace, you will love it here. If the chocolate mousse is available, chances are this will escalate your night from blissful to ecstatic. Visit their facebook page for events and directions here. If you happen to be in Thailand in April you may be lucky enough to enjoy Songkran which is the Thai New Year festival. Songkran is a water festival and wherever you are, prepare to spend the day drenched from head to toe in water and splattered with baby powder. It’s a fun and jovial day, but do be careful on the roads. There are several ways to get to Koh Phangan. It depends on your budget and how much time you’re willing to spend! Koh Phangan doesn’t have an airport of its own, so the easiest and quickest way to arrive is to fly into Koh Samui. Flights leave on the hour from Bangkok with Bangkok Air, or international flights also come into Koh Samui from around Asia. Flights into Koh Samui can be expensive compared to other flight paths around Asia, so try and book in advance to save. Koh Phangan to Koh Samui is a one hour ferry ride. The closest pier from the airport is Big Buddha Pier and can be reached via taxi from the airport in only 10 minutes or so. This will have you dock on Koh Phangan in Haad Rin on the Haad Rin Queen. From there, there will be many taxi drivers ready to transport you to your hotel or the area you seek to venture to. Speed boats are now also available for transportation from Koh Samui to Koh Phangan, and while expensive (around $100), it will get you there in around 15 minutes. After a flight from Europe or several days hopping around airports, this may seem like the best luxury money can afford! Purchase a join bus-ferry ticket all the way from Bangkok to Koh Phangan which will take around 2 days of travel but is significantly cheaper. Another option is to fly into Surat Thani Airport and from there, purchase a bus/ferry ticket. The bus ride is around 2 hours to the pier and then the ferry will stop first at Koh Samui and then travel onto Koh Phangan, taking around 3 hours in total. If you ride a scooter, you can hire one from just about any accommodation venue or in any town. Scooters cost around $9 per day or less for a monthly hire. If you hire a bike, make sure to always wear a helmet and be careful on the roads. The roads are generally quite good but can be steep and windy, or unpaved in some of the more remote regions. The high incidence of accidents on the island is a good reminder to go slow, be safe, and prepare for the unexpected! If you dont hire your own bike, taxis are very easy to come by and prices are generally set for the various destinations around the island. Songthaews are a cheap way to get around, these are open air trucks with benches and a roof that fit around a dozen passengers. Prices are more negotiable and can depend on the number of people, the distance, the weather, the season, and the general mood of your driver on that day! Long tail boats can be used to get around to several of the more remote bays. The quickest way from Haad Rin to Haad Tien or Haad Juan is by longtail boat. Up north, long tail boats are also common. Longtails won’t always run when the season brings larger swells, and if they do, think carefully about whether you want to arrive at your destination with you and your luggage soaked! If you decide to base yourself in the yoga hub of Srithanu, a regular bicycle will be fitting for the size of the town and your day to day needs as everything is quite close by. Over in Haad Juan and Haad Tien where The Sanctuary, Pure Flow and Bamboo Huts is located, there are no cars, bikes or even roads and the bays are connected by paths through the jungle. It is a beautiful area to disconnect and get back to nature and simple living. Koh Phangan is becoming a popular stop in the SE Asia Digital Nomad Circuit. That being said it’s on an online and it’s not going to be as “good” as Chiang Mai in terms of workspaces, wifi, and other entrepreneurs. There are a few co-w0rking spaces and if you find the right spot the wifi is good enough. Cost of living is probably 50% higher than Chiang Mai. Mostly because food is significantly more expensive and there are fewer options for accommodation. However if you love beaches and you’re a digital nomad Koh Phangan is definitely a place worth visiting. Most hotels, guest houses and accommodations will offer wifi. This doesn’t always mean it will be fast, or that it will even connect! Wifi can be unreliable although it does seem to be constantly improving. Koh Space is another co-working venue designed for digital nomads that is fitted with a conference/Skype room and a relaxed open-plan shared working space. A little more rustic and situated on the main road between Haad Rin and Baan Tai, there also an upstairs lounge area and open-air shared kitchen for guests to use. The beach is only a stone’s throw away. Prices start from $11 a day, or $40 for a week pass. ATM’s are readily available and most banks have a central branch in Thong Sala. Money exchanges are also common in all towns. Do note there are no ATMS in Haad Tien/Haad Juan so make sure to get cash out before heading over that way! ATM fees will vary between banks. Due to its proximity to the equator, Koh Phangan’s temperature remains fairly constant all year round. Dry season is the peak time to visit the island when there is plenty of sunshine and little rain with temperatures around 28C/82F, this lasts from mid December to the start of April. Hot season runs through from April to September and temperatures can soar up to 40C/104F for weeks on end. This is a much quieter time to visit and if you can bear the heat you can enjoy much lower accommodation prices! The monsoon season runs from October to mid December. Don’t be too deterred by wet season though- there are still plenty of patches of sunshine throughout the days and less crowds. I wouldn’t be at all surprised if you are simultaneously checking flights as you read this last paragraph! Koh Phangan really is a wonderful island to call home, be it for a week, a month or more. It has everything you need to live a healthy lifestyle, with the added bonus of year-round warm weather, inexpensive living costs and an inspiring supportive community. If you have any additional tips, feel free to leave them in the comments below! 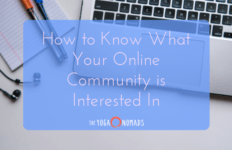 If you want to know more about how to take your yoga business online, check out our advice here! Or if you would like to find teaching opportunities abroad, seek our top ideas here. 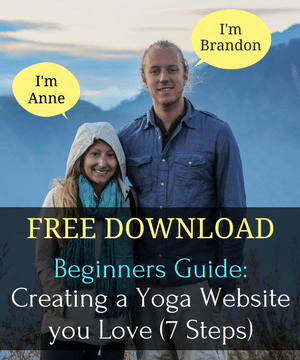 Looking for other Yoga Nomads Destination Guides? Click here. Don’t forget to see the sunset at Zenbeach!!! Completely agree, Rene! Good call! I payed 250-400 bhat per night!